I didn’t know Anthony Bourdain, but felt like I did in one small important way. In him, I saw a drinking alcoholic with a front-stage vigorous attempt to do it successfully. His was a fantastic life-embracing show, with drinking taking a prominent role in the joie de vivre, and sometimes that made it hard for me to watch. When he threw back shots, indeed got wasted, I saw a fellow alcoholic living dangerously whereas most viewers, I imagine, saw “a man who knew how to drink, knew how to live.” His state of mind will be called depression, and who can argue with that in the wake of his suicide. But can we please, people, start connecting the dots to alcoholism (also a disease of the mind), at least when it is screamingly evident? Perhaps I should not presume to think I know, but I can at least invite the conversation where it is uncomfortably and amazingly absent. 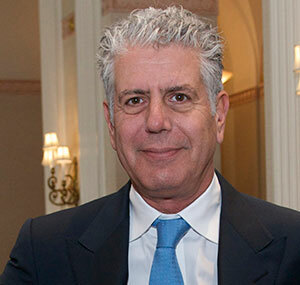 Did alcoholism (which brings depression or ineffectively “treats” depression) ultimately take down Bourdain? Alcohol is a drug. “Drugs” and “alcohol” remain separate in conversations about addiction, like a “bad sister” doing outrageous unthinkable things while the “good sister” quietly nurses a prom hangover and shame from a blackout. Can Bourdain’s death please generate a conversation about alcoholism and not just befuddlement about his fantastic life that countless people wish they had? Because you don’t want his life. The travel, the breadth of his experiences, sure, maybe. But this man on the move had to stop sometimes. No cameras, no action. Just himself. I didn’t know him, but I do know addiction and it can be a fiercely critical companion that may take a back seat but lies in wait. It can tear us down and sometimes just won’t shut up — goading shame, provoking self-loathing and inviting emotional isolation. When you’re an addict, as he proclaimed he was, it’s highly risky to keep one drug on board. He had respect and fear of the “hard drugs.” He reportedly was grateful and humble for having escaped death by addiction decades ago. We’ll be talking about depression and suicide for days now, with Kate Spade’s and Bourdain’s suicides, until another famous person with a seemingly magnificent life shocks us. Bourdain was a famous, beloved “bad boy” as one friend described him. He demonstrated a generosity of self. He cared deeply, it would seem, about injustice, and about the opiate-addicted with whom he empathized. I’ve found, working with the addicted, both those using and those in recovery, that addicts/alcoholics are generally extremely sensitive souls. Alcohol “works” for the alcoholic until it doesn’t. It promises and delivers what we seek from it for years, until it stops working. Yet still we want to drink like everybody else. Drinking is fun, right? It goes with culinary delights, correct? It enhances life, isn’t that so? Well, yes, and no. Certainly ultimately “no” if you have the malady, which quietly marches on and in time takes our joy, even our will to live and carry on and pretend we’re OK. We’re not OK. We are just good actors. Bourdain perhaps was one of the best. With alcoholism, we make rules as we go along, to prove we have control. We also break those rules. We take life by the tail, but, dare I say, some weary of the show and let go. This is a progressive, chronic, fatal disease with predictable stages. The brain science is in, and has been for years, yet it is ignored or given short shrift because drinking is such a huge part of our cultural fabric. We don’t stop and think about it until we’re forced to; until it’s obvious, undeniable, that someone we care about is suffering. 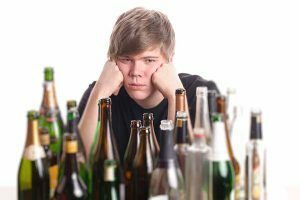 Alcoholics minimize, deny, believe their drinking is under control, and refuse to connect the dots — that drinking for escape, relief or to solve problems is creating more problems, and is taking a toll on self-worth and perhaps cognition. The substance they are drinking for “a lift” is a depressant. The guilt, shame, powerlessness and depression can take them down. Blessedly it can also wake us up to the true nature of our disease. We stop separating “drugs” from “alcohol.” We find freedom from the tyranny that is addiction, that is alcoholism. Can we at least talk about it? Written by Jo Ann Towle (reprinted with permision). Jo Ann Towle, is a certified intervention professional who helps people find treatment for addiction.